I started working in the Archives Department at the Archdiocese about 3 weeks ago. Within that time, I have been settling in and familiarizing myself with the extensive and varied holdings preserved here. While exploring our database one afternoon, my eyes suddenly landed on the word, “Dali”. 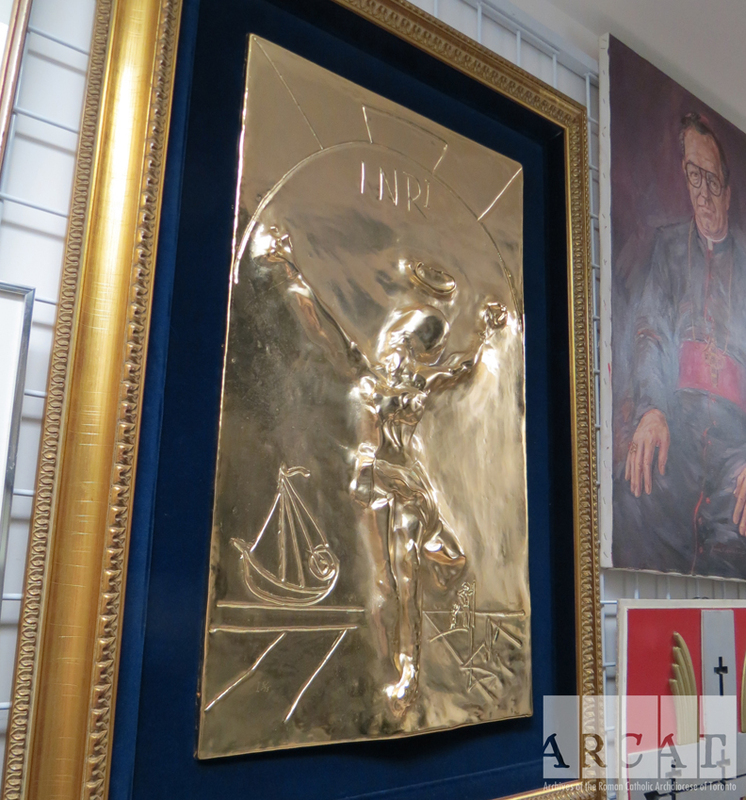 It was Salvador Dali listed as a creator, and the item was an original relief wall sculpture located in one of our storage rooms. As a huge Salvador Dali fan myself, I immediately darted to its location and feasted my eyes upon this original work by the artist. 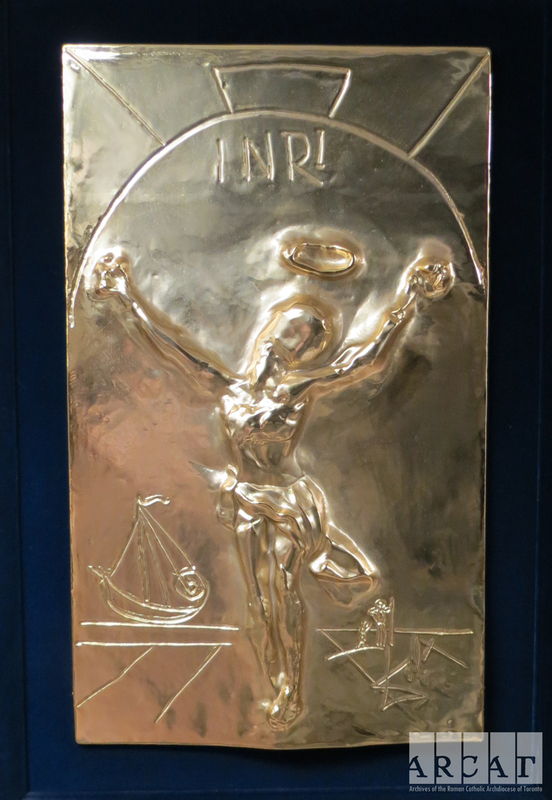 Titled, “Christ of St. John of the Cross”, the sculpture has been done in gold patina and hangs at a modest size of 76 x 46 cm. 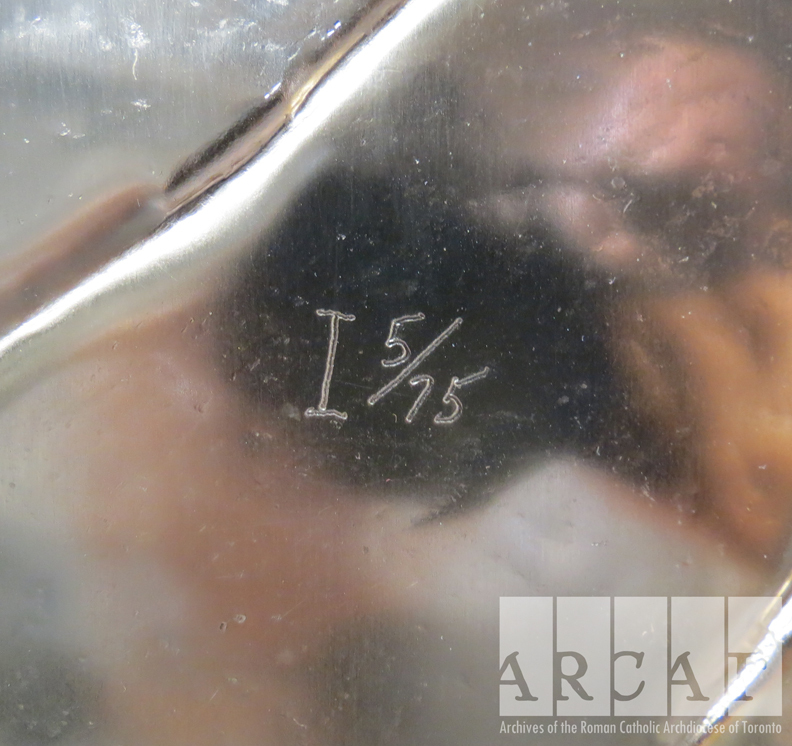 This sculpture happens to be one of many copies produced by Dali between the years 1951-1983 from a single master mold. The gold patina version was specifically limited to two editions of seventy-five sculptures each, and our friend sits at number 5 of the first edition. Other versions include platinum, silver and bronze patina. Christ of St. John of the Cross. c. 1951. Oil on canvas. 204.8 x 115.9 cm. Digital photo taken from Gala-Salvador Dali Foundation. Cat. No. 667. As one can see, the sculpture and the painting bear a striking resemblance to one another, sharing the central image of Christ with a boat and fishermen at the bottom of the image. 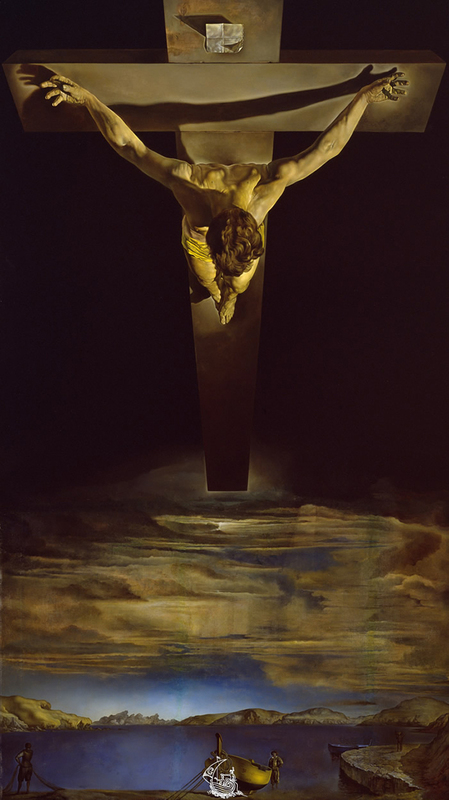 Dali's inspiration for this painting, and ultimately the sculpture, came from two places: a drawing done by Saint John of the Cross, a 16th century Carmelite priest, after he had seen a vision of Christ during prayer (view it here); and the vision that Dali, too, had experienced when he dreamt of an image of Christ on the cross. When the original painting was first exhibited, it was deemed “banal” by an important art critic and was not well received as it broke from the artist’s more surrealist techniques. Several years later in 1961, the painting would be slashed by a visitor while hanging in the Glasgow Museum. This did not deter Dali from creating hundreds of these relief wall sculptures. The painting has since been repaired and continues to have a profound effect on its viewers. 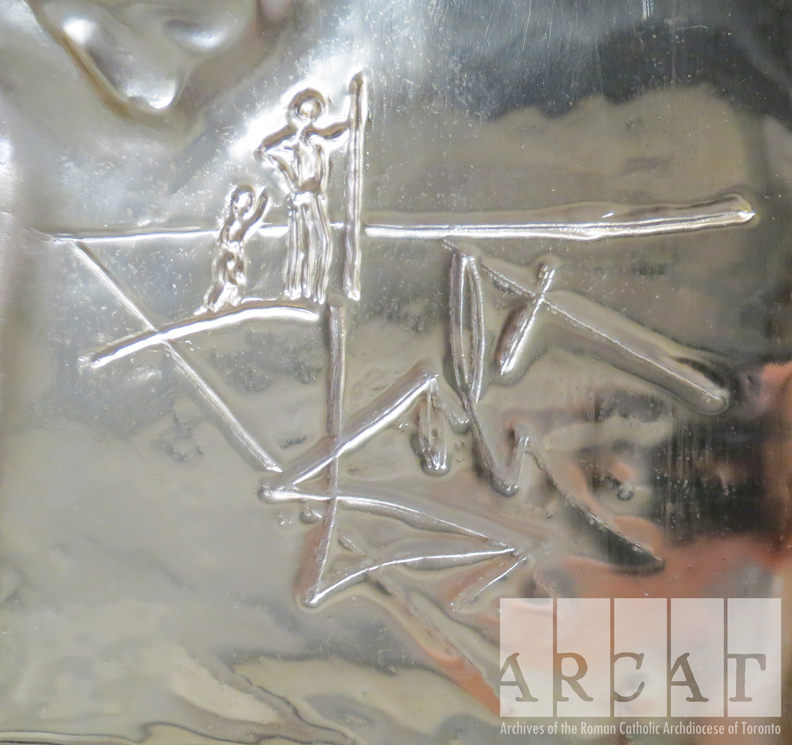 ARCAT received its relief wall sculpture through a donation in 2003 from the Estate of G. Emmett Cardinal Carter.